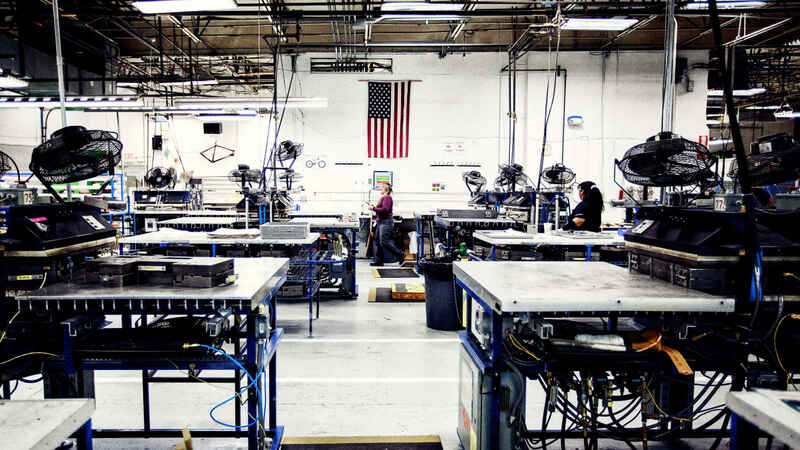 Ever Wonder What the Insides of Trek Bicycles Look Like? In mountain biking’s heyday, Procaliber was the envy of all other race bikes. Now it’s back to rule the XC circuit once again, redefining the term “hardtail” and setting the bar for speed and smarts. Procaliber’s IsoSpeed decoupler delivers uncompromising cross country performance, efficiency, and an incredible ride feel. It’s the fastest, smoothest, smartest hardtail on the trail. or Purchase at Jax Bicycle Center Long Beach & Irvine. Partake in all the joys of riding a bike without breaking a sweat or ever getting tired! Trek’s Conduit+ is the road-angel you’ve always dreamed about. Trek starts with a Alpha Gold aluminum frame and a comfortable upright riding position, and builds it up with quality components from Shimano and Bontrager for precision shifting. The magic-carpet ride is courtesy of the smooth, powerful and quiet built-in Shimano STEPS electric motor that runs off a rechargeable battery. It’s a pedal-assist system, so if you pedal lightly, the range is 40 miles, and you can extend that range to 75 miles by pedaling more! And it takes just four hours to recharge the down tube-mounted battery so you’re always ready to roll! The Conduit+ is loaded for urban transportation ease with a kickstand, powerful disc brakes, full-coverage fenders, and even an integrated front light. Imagine easy bike commutes with no troublesome hills, no tired legs, and no sweating! Trek makes it a reality with their Lift+ with electric-assist. 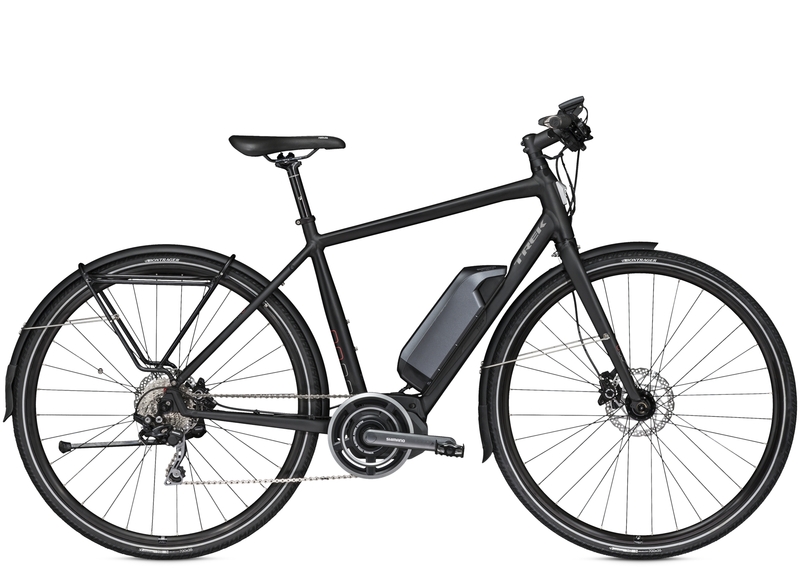 Trek starts with an aluminum frame and a comfortable upright riding position, and builds it up with quality components from Shimano and Bontrager for precision shifting and braking. 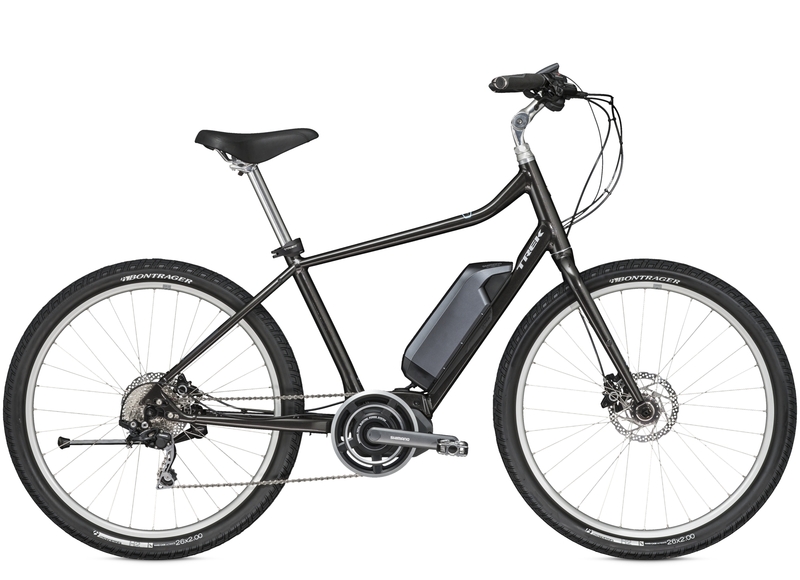 The magic-carpet ride is courtesy of the smooth, powerful and quiet built-in Shimano STEPS electric motor that runs off a rechargeable battery. It’s a pedal-assist system, so if you pedal lightly, the range is 40 miles, and you can extend that range to 75 miles by pedaling more! It takes just four hours to recharge the down tube-mounted battery so you can ride carefree everywhere! Introducing the Trek 2016 Fuel EX: The perfect trail bike. The Fuel EX sets the standard for mountain bike versatility. It’s the perfect bike for riders who want a little bit of everything, from fast XC riding to long days on technical trails. In stock now!